Watch Dogs launched with some performance issues on PC that cause serious stuttering and lag on some systems. Ubisoft is still working on a patch to iron out those problems. To see how the game performed for us on ultra settings, we threw Watch Dogs at the LPC and recorded some open world driving, hacking, shooting mayhem with Nvidia Shadowplay. While we normally record our max settings gameplay videos with FRAPS or Dxtory at 1440p, Nvidia Shadowplay recently added support for 1440p recording. We recorded with Shadowplay this time because it's far easier on the framerate than either of the above. It also produces much smaller (but still high quality) video files. Bad news: something went wrong with our Shadowplay settings and we ended up with 1080p footage. 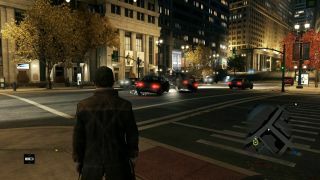 Good news: Watch Dogs is still a looker with all of its settings cranked to ultra. With Shadowplay recording, Watch Dogs' framerate fluctuated from the high 30s to the low 50s on the Large Pixel Collider. We didn't encounter any stuttering issues with Nvidia's latest drivers installed. Want more from the LPC video archive? So far, we've hit Wolfenstein: The New Order, the Titanfall beta, Max Payne 3, Metro: Last Light, and Arma 3. There's much more to come. Have a game in mind you'd like to see the LPC take on at Ultra settings? Tell the LPC directly on Twitter.